Mazda is launching five Takuya models across the Mazda2, Mazda3 and Mazda6 model line-ups following on the Takuya Special Edition Range which was introduced in mid-2010. The special edition models gets a sports styling kit, extra interior equipment and come in unique colours. 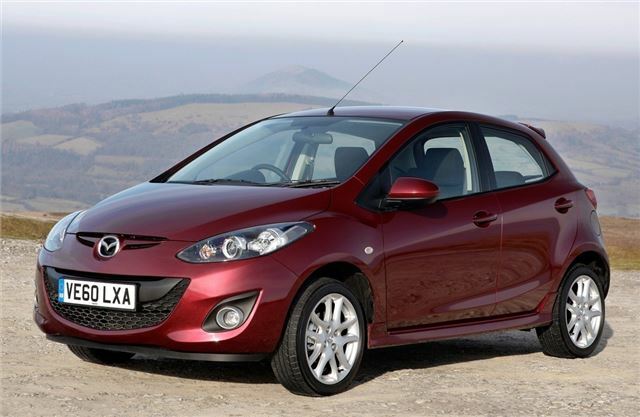 On sale on 1 February 2011, prices start at £11,940 for the Mazda2 Takuya 1.3-litre five-door. The price tag is £110 more than the Tamura model and the Takuya comes with front fog lights, black sports trim, rear electric windows, automatic climate-control air-conditioning, a Parrot Bluetooth hands-free kit and a new rear bumper sports trim. Standard equipment also includes 16-inch alloy wheels, a sports styling kit (incorporating a rear spoiler and side skirts) and sports headlights. The interior gets from side and curtain airbags, a trip computer, leather steering wheel and gear knob, steering wheel remote audio controls and four audio speakers. For 2011 the Mazda2 Takuya is available in a choice of five colours, including a new Burgundy Red Mica. Powered by the efficient 1.3-litre, 84bhp engine, the Mazda2 Takuya is a lively performer that is also frugal. It accelerates from 0 to 62mph in 13.6 seconds, while averaging a claimed recording 55.4mpg (on the combined cycle) and emitting 119g/km of CO2. The 105bhp 1.6-litre Mazda3 Takuya sosts £1,145 more than the TS model on which it is based and adds 17-inch alloy wheels, sports styling kit, front fog and LED rear lights, plus automatic dusk-sensing lights and rain-sensing wipers. Inside, there is automatic dual-zone climate control air conditioning, black sports interior trim, heated front sports seats, an integrated Bluetooth system, a six-disc CD changer and leather covered steering wheel and gear knob. Priced from £16,695 the Mazda3 Takuya promises low running costs with a combined claimed fuel economy figure of 43.5mpg and 149g/km of CO2 emissions. Finally there's the Mazda6 Takuya special edition models available in three different guises: a 2.0-litre 155bhp five-door (£20,495), 2.2D 163bhp five-door (£21,675) and 2.2D 163bhp Estate (£22,325). For £1,050 more than the TS models, all three variants have 18-inch alloy wheels, a sports grille, front fog lights, privacy glass and dusk-sensing headlights. The interior features an alloy pedal set, half-leather heated seats, auto-dimming rear view mirror, dual-zone automatic climate control air-conditioning, an integrated Bluetooth system and a six-disc CD changer. A choice of four metallic, mica or pearlescent paint colours is offered free-of-charge. All Mazda Takuya models are also available with VAT fixed at the 2010 rate - this offer applies to the retail list price and excludes all factory fitted and dealer fitted options.